Brazil is interested in buying a Russian Mi-35 helicopters batch, Deputy Director of Russia's FSMTC Anatoliy Punchuk said on Thursday. 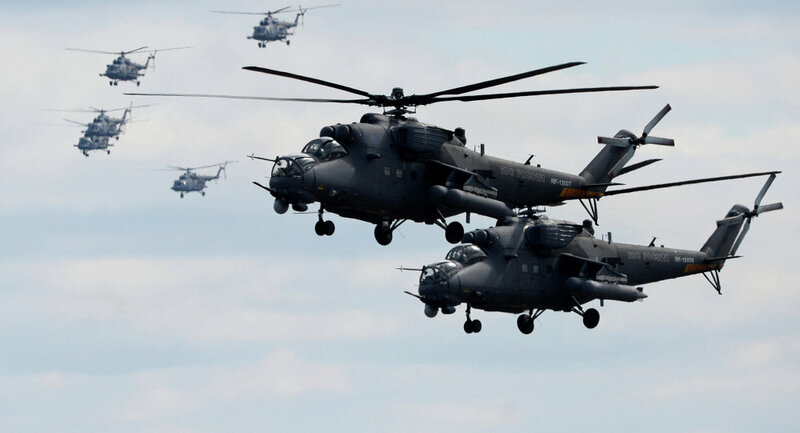 RIO DE JANEIRO (Sputnik) — Brazil is interested in buying an additional batch of Russian Mi-35 helicopters, and negotiations are underway, Deputy Director of Russia's Federal Service for Military-Technical Cooperation (FSMTC) Anatoliy Punchuk said on Thursday. "The Brazilians express interest, but the financial issue is rather sensitive. They say that Mi-35s are very suitable for them. It is early to say that we have agreed on something particular, the negotiations are ongoing," Punchuk told reporters at the Latin American Defense and Security International Exhibition (LAAD) in Brazil. The contract for Brazil's current supply of 12 Russian Mi-35M military helicopters ceased in 2008, with the last helicopter being delivered in 2014. The Mi-35M multirole attack helicopter is a modified version of the Mi-24V helicopter developed by the Mil Moscow Helicopter Plant, and has been produced by Russia's Rostvertol plant since 2005. The helicopter ensures combat use of guided and unguided weapons and is able to conduct missions at a moment's notice in nearly all weather conditions, provide transport of military personnel, medical assistance, and the movement of military supplies and other such cargo. The LAAD-2017 is held in the city of Rio de Janeiro on April 4-7. Some 200 official delegations from 30 countries are taking part in the event.